Tom Lalampaa, a Samburu from the West Gate Community Conservancy, part of the Northern Rangeland Trust in Kenya, has been a local conservation leader for many years, designing, developing and expanding conservation efforts in his region. The successes he and his group have achieved has a great deal to do with the fact that this area is his home, and the trust he has built through his understanding of local needs and culture. 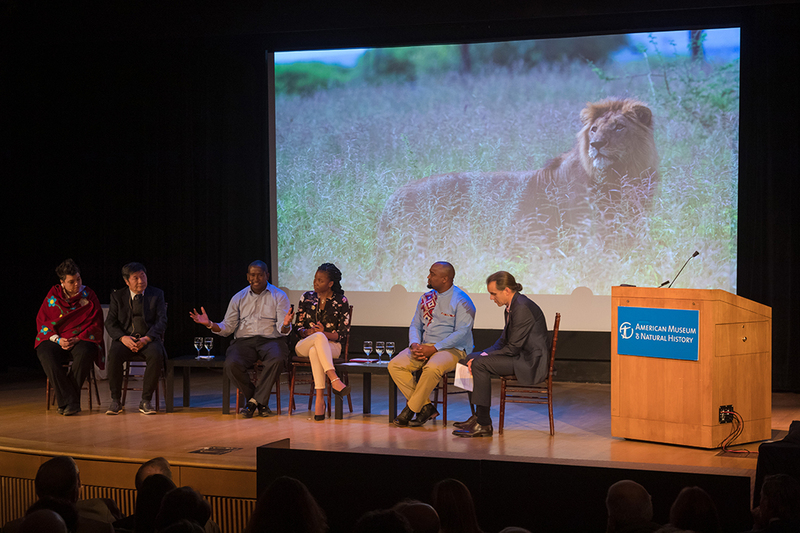 At Half-Earth Day in October, Tom and conservation colleagues from around the world gathered to share their experiences, successes, and lessons-learned with capacity crowds who gathered to hear them. Indigenous and local community groups are having an increasing level of success as conservationists, particularly when led and implemented by members of the community. Their efforts are providing examples and making an enormous impact on the global conservation effort. A recent article announcing indigenous groups’ intentions to create a huge nature sanctuary in the Amazon is a high-profile example of this expanding role. As an integral tool for efforts like the living examples in Kenya and the Amazon, and all over the world, the Half-Earth Project is mapping species distribution to an unprecedented 1km resolution. This unprecedented map is being used to identify conservation priorities, and provide critical information to all parties involved in shaping locally-appropriate solutions with the greatest chance for success.